Grab & Pull, out of Brighton UK, is the child of Gus Oliviera and has become one of the most recognizable BJJ Apparel Company in the UK. Grab & Pull is also very active in the European BJJ community. Recently, they’ve helped to bring Grappler’s Quest to Europe and will also be streaming the upcoming Copa Podio tournament. G&P is crossing the big pond soon and were kind enough to send their Premium Version 2 gi for a review. If the gi that I was sent is any indication of their products they will be just as big in the US in no time. Their current line of products include: tees, gis, belts, rashguards, and fight shorts. Now, let’s jump into the review for the Grab & Pull Premium Version 2 in White (A2)! The Premium Version 2 Gi consists of a 550gsm pre-washed pre-shrunk pearl weave and ripstop pants. The jacket and pants are white with neon-green contrast stitching. The blue version of this Gi sports white contrast stitching. High quality stitching is used throughout the entire Gi with extra reinforcements in all of the stress points with another layer of high contrast stitching along all seams gives the Gi sturdy feel and great visual appeal. This Gi has a rubberized collar. Some embroidery and a few patches keep a clean look without overdoing it. The patching coupled with the contrast stitching gives the Gi a great classic look with just a little pop. I noticed right away how light the Gi was and the great fit as I put it on the first time. Having a gi that fit great right out the bag is wonderful. I usually buy A3s and then shrink them to fit. This Gi is IBJJF legal. The jacket sports an interior tag with basic care information, website, size, and G&P lettering. White patches on both shoulders (8.5” x 2.25”) show off the G&P Logo of two hands gripping and “Grab & Pull” in lettering. A smaller G&P Patch at the bottom of one Lapel and an embroidered “Premium 2 Version” lettering round out the front of the Gi. A small embroidered “Premium 2 Version” pops up on the back below the collar. The sections of embroidery are well done and have no signs of distress; the patch stitching also shows no fraying. The rubber collar is covered in ripstop. 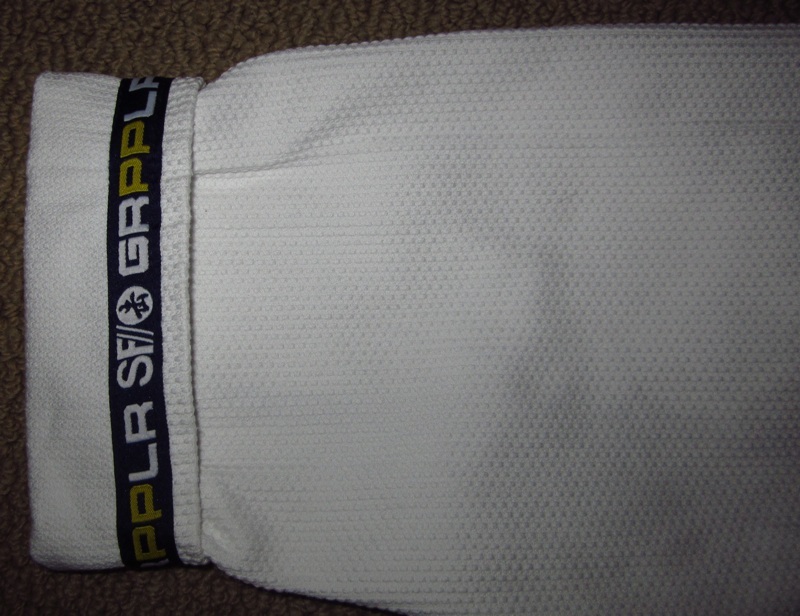 The bottom exterior of the skirt and the inside of the cuffs are lined with tape that says “Grab&Pull” spaced by the two hands gripping logo. This Gi is visually appealing, the clean look of the white Gi with minimal patching/embroidery done up with the neon-green contrast stitching make this Gi a head turner. I had many teammates tell me how great the Gi looked. This is easily my best looking Gi, combined with a great fit it definitely is one of my favorite Gi’s and in heavy rotation. The 100% cotton ripstop pants keep the classic look with just a little pop. They’re also light and durable. 4 drawstring loops (in neon green) and a rope style drawstring create a great fit around the waist. The waist is off-set with the back half being slightly higher. The loops, string and off-set waist all work together to keep the pants in place once they’re tied. The pants have reinforced stitching at all stress points and the neon green contrast stitching at all seams, it’s the same as the jacket. The tape used in the jacket runs down the outside of each leg and the inside of each cuff similar to the sleeve openings. There is additional reinforcement at the knees starting at the thigh and is 14.5” length and runs from vertical seam to seam across the front of the leg. The same tag patch as the interior of the jacket is located 3.5” below the waistline on the front of the right hip. The same “Premium 2 Version” embroidery can be found on the front of the left shin. Right out of the bag I was skeptical that the A2 would fit me, like I mentioned earlier I usually have to buy an A3 and slowly shrink it to fit right. I was happily surprised on how great it fit the first time, with the length on the sleeves and pants just a little longer than I like. After 10+ washes/training sessions I have not noticed any noticeable wear and tear. All of the stitching still looks great. The feel of the Gi overall was great, very comfortable while rolling and drilling. I also noticed, and was told by rolling partners, that the Gi was not abrasive like some are and did not stick when I started sweating. As I hinted before this Gi easily outdistances my other Gi’s I have thus far, both in aesthetics and fit/comfortablity. I washed this Gi on cold and hung dry every time I washed it. The only negative that I have for this Gi is that it did shrink, which I didn’t mind due to it being just a little long on me. The overall length of the Gi wingspan and Pant length both shrank close to 2 inches. I don’t believe I have ever owned any Gi that hasn’t shrunk even when I didn’t purposefully do it. I’d recommend to anyone purchasing a G&P gi for the first time to carefully review the sizing chart and email them if there are questions. This wrap up is too easy. Buy this Gi! It looks great and fits great. It has held up to the rigors of class with some very strong grapplers yanking me around. Also, did I mention it looks great? I guarantee that if you show up to class wearing this you will get quite a few compliments. 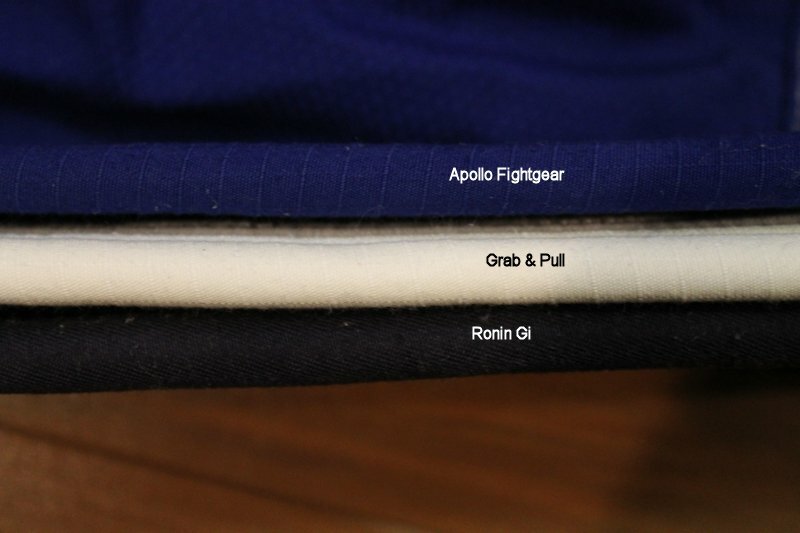 The white Gi that I reviewed is listed at £99 (~$150) and the blue Gi is £109 (~$166) plus shipping which puts this Gi right in line with other Premium Gi’s. Make sure to check out their website and Facebook page for any upcoming deals and announcements. 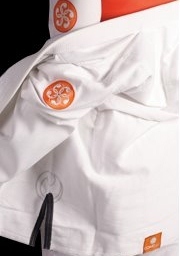 Editor’s Note: This gi will soon be available at MAS and be on the look out for a 1 day deal at BJJHQ.